The general election in the south of Ireland has entered its final week. This blog has tramped the byways and streets and lanes in many previous campaigns in this part of the country, including in local government, EU referendum and Dáil elections. Many years ago I campaigned in Louth when Paddy Agnew was the H-Block candidate and more recently for Arthur Morgan. But this is my first time as a candidate. Consequently the perspective is quite different. This blog is also used to drawing the fire of political opponents and others. That goes with the territory. But this time it took on an added intensity. Probably because as the FFers and Labour have been squeezed in the opinion polls – and this blog doesn’t take any great interest in such polls – they have each become increasingly desperate to prevent their votes slipping away toward Sinn Féin. This is one reason why Micheál Martin decided to let loose on this blog on the issue of the IRA. Elements of the media joined in also. 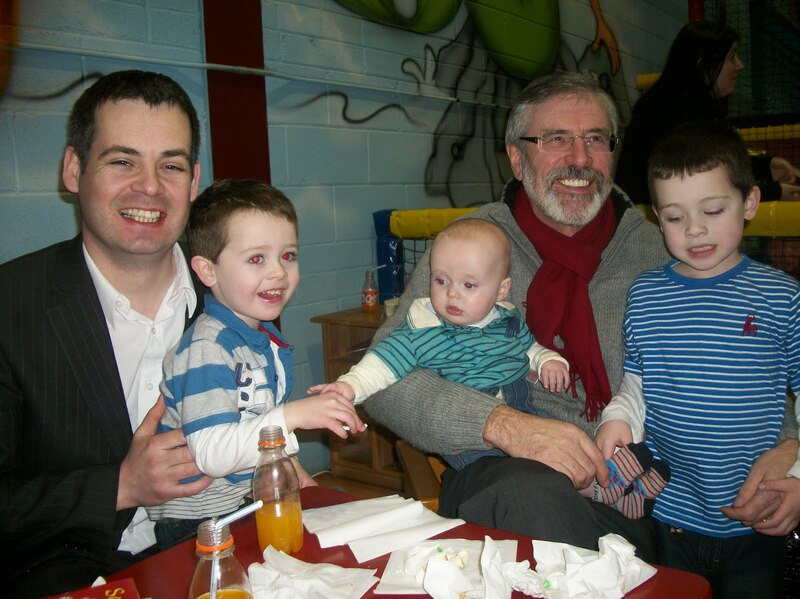 Regular readers will remember that when I announced my candidature for Louth and East Meath I warned there would be a tsunami of media and political vitriol. So, no surprises there. The big issue in the campaign is the economy. And understandably so. It is in a mess. 440,000 people out of work. Thousands more jobs at risk. A thousand people, mainly young people, leaving the state every week. The FFers and the Greens oversaw the collapse of the financial system and the banks. They then concocted a banking bailout with the IMF and the EU that will bankrupt the state if it is allowed to stand. They have heaped billions of private bankers debt on to the taxpayer. We cannot afford it. The other main opposition parties, Fine Gael and Labour, have said they will implement this bailout. 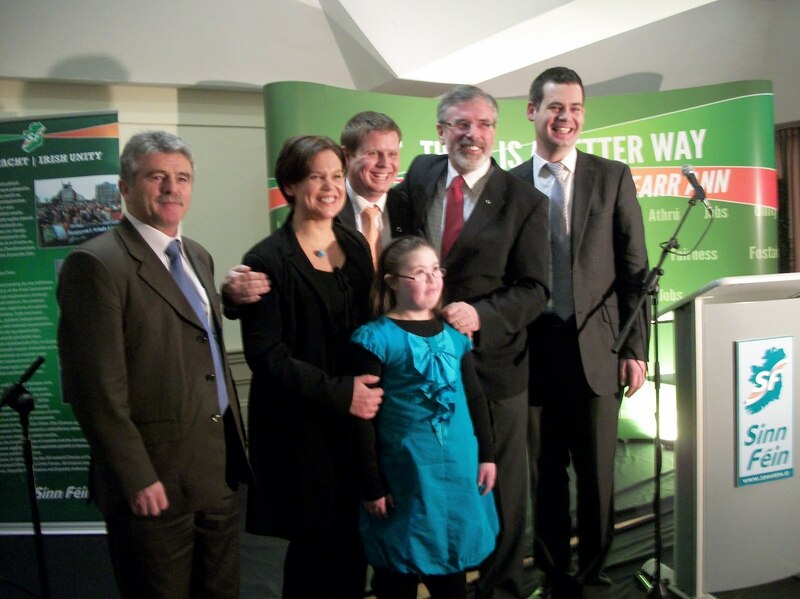 Budget 2011 contained €6 billion in cuts. All of them have agreed to a series of additional budgets which will further impoverish working families in this state in the years ahead. While the crisis in the economy is understandably the most pressing issue at this time, fundamental political reform and the creation of a 21st century fit for purpose political system is also absolutely essential. Did you know that nearly a hundred and fifty years after the land war there are thousands of citizens who still pay rent to abstentee landlords. And to its shame, almost 100 years after the Rising and the Proclamation of the Republic at Easter 1916, the Irish government is still paying rent on iconic state buildings, including Government Buildings, and Arbour Hill where the 1916 leaders are buried. For what died the sons of Roisin? These ground rents should be abolished. 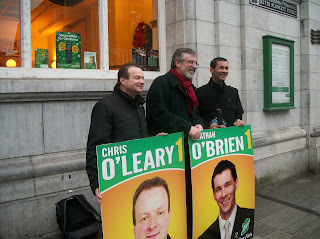 But all of this is a mark of the failure of the political system in Dublin. It has failed the people in so many ways. It is unaccountable and protects those who have abused public office. This blog believes there is widespread public support for fundamental political and constitutional reform, including reform of local government. Many of those entitled to vote do not do so, particularly young people and those from disadvantaged backgrounds. This must change. 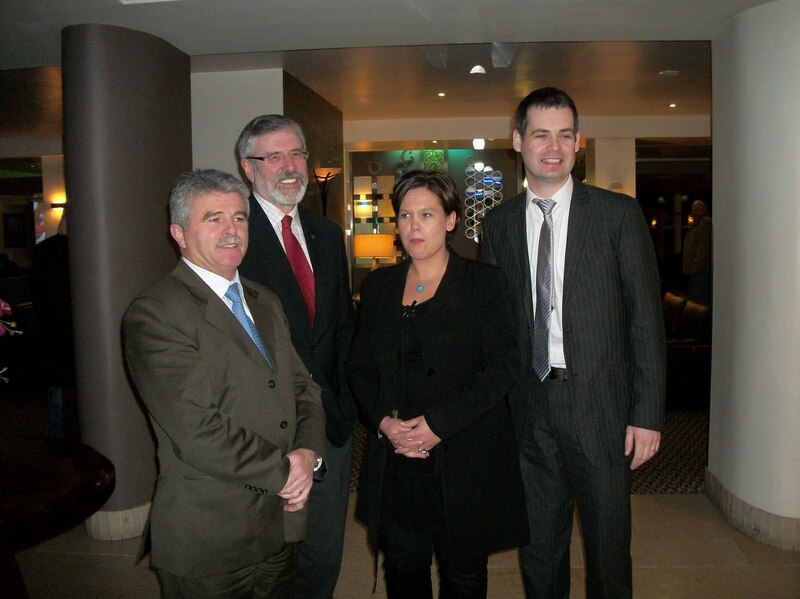 Many of the changes Sinn Féin advocates in the south could also be applied in the north. For example there should be automatic registration for voters, the voting age should be reduced to 16, there should be a focus on voter education and the right to vote should be extended to Irish citizens living and working abroad. Sinn Féin would also establish an all-Ireland Constitutional Forum to bring forward proposals to amend the Irish constitution so that it is fully reflective of the values and aspirations of the Irish people today. And a template for a future 32-county Republic. This would draw upon the equality provisions in the Good Friday Agreement to safeguard citizens’ rights and should be soundly based on democratic principles and international human rights standards. This would be put to the people in referendum. Reform must focus on ensuring that political institutions are inclusive, accessible and accountable. If you want to see political opportunism in action the reader need look no further than at the eagerness with which political parties, who happily worked and milked the system for years without considering reform, are now falling over themselves trying to convince the electorate that they really are serious about changing the system. They all failed to do so when they had the chance. The reality is that those in power have always protected their own interests. The citizens of this state deserve political reform, full rights,equality and fairness – that is what Sinn Féin is committed to delivering. The blog mentions the paying of rent by the Government for Leinster House & Arbour Hill as well as the many people in Ireland who pay rent to or who have purchased the freehold from the estates of the Earls/Lords etc who seized the lands from the native Irish. Is there any movement or group which is calling for the land which is still "owned" by the estates of those men who seized these lands illegally to be taken back by the Irish Government, with them continuing the same terms as currently exist between the English estates and the Irish renter? 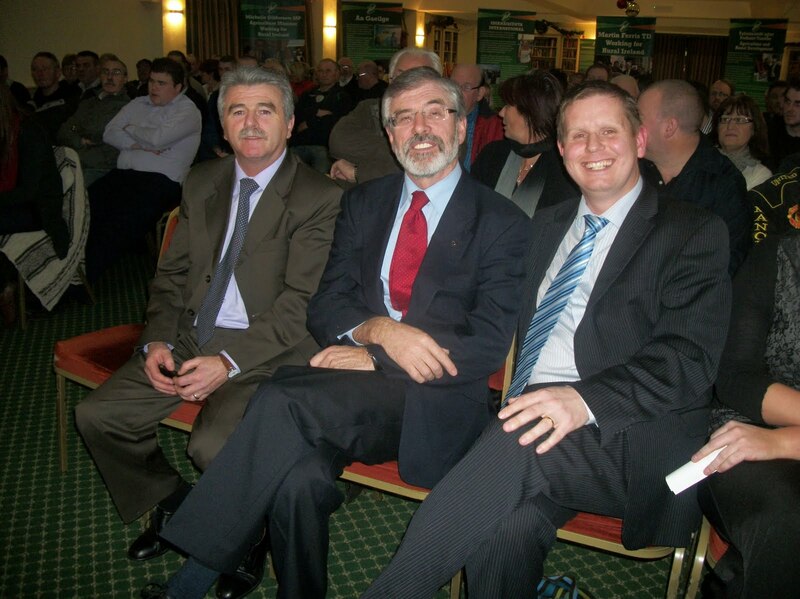 Ireland is lucky they have a Gerry Adams at all. The people who worry about your past should be looking at the future of there children. Concern over the IRA past as there Son's join the Britsh Armed forces in record numbers, and head out to other lands for a better life. A life that the government in power has not provided. Facts are hard to see, if you only see what you want to see. A neurotic is a man who builds a castle in the air, and pay rent on it. Come live in the heart of Ireland, and pay no rent.